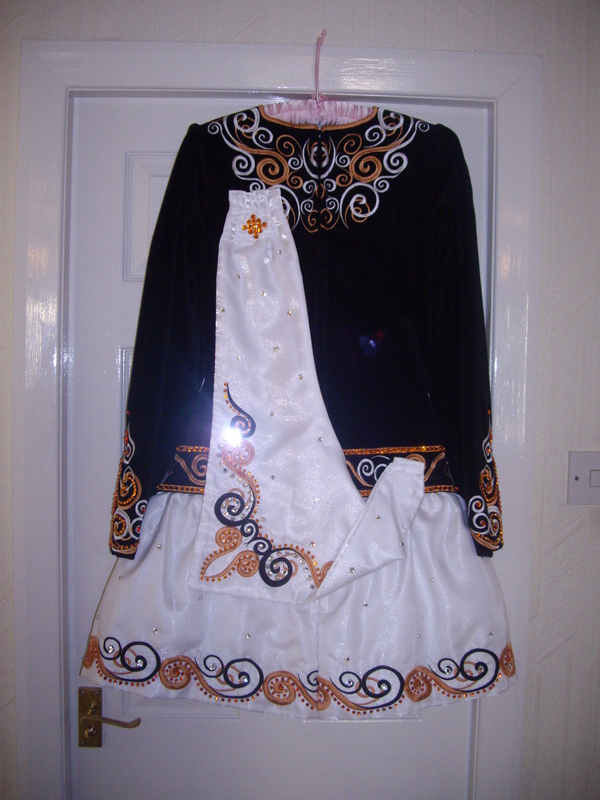 1 Year old Shauna Shiels dress in excellent condition. 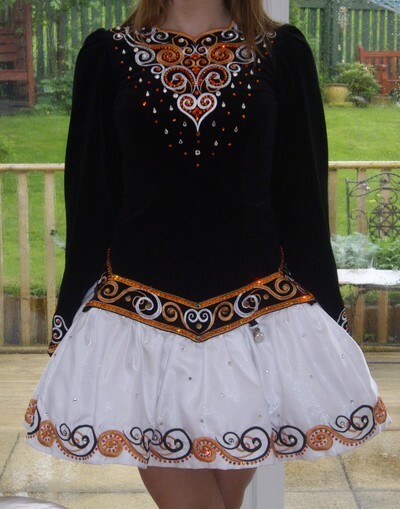 Blacke velvet bodice with white skirt. 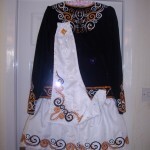 Embroidery is in white and burnt orange. 3 layer underskirt of gold frills and white tulle. Adorned with hundreds of crystals. Room to let out. Asking Price: Â£650. Shipping costs are included for my own country, overseas shipping is extra. Will accept returns and refund the cost of the dress, buyer to pay all shipping costs.